Homemade Bath Salts Recipes - learn how to make homemade bath salts with Epsom Salt recipes, homemade bath salt recipes. 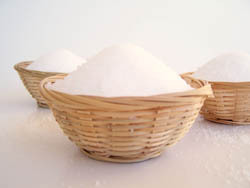 Discover Epsom Salt benefits and how to use them to make bath salts. 7 Benefits of Epsom Salt & How to Use It! 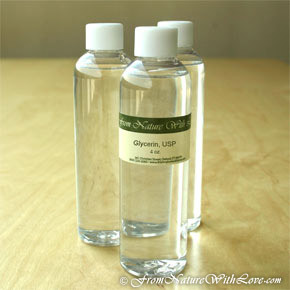 Using Glycerin in Bath Salts - Good or Bad? I was going through the eBook "The Comprehensive Guide to Handcrafted Bath Salts" and I came across this recipe that I thought I would share. 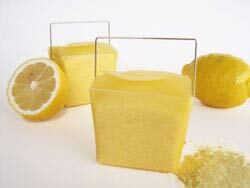 It's called "Lemon Meringue Aromatherapy Bath Salts". Here is what your homemade bath salts recipe is going to look like once we're done! Lets get started. First of all, lets take a look at the recipe. This recipe is sure to please with a delightfully relaxing fragrance, and perfect for sore muscles. Packaging - you can use a lot of things, check out your local supplier. I thought a pillow pack would look good for these. Click here to view my packaging choice, or else go here for more bath salts packaging options. You can click on each ingredient to find suppliers I usually deal with - though feel free to use your own. Often you can find better deals if you shop locally - even bulk bins in the supermarket can have salts. Hopefully you can get your supplies fairly easily - once you have them, here is where the fun begins. Get yourself some stainless steel mixing bowls. Plastic bowls can sometimes absorb essential oils, so it's never a good idea to use them. Glass bowls also work well. Measure the dendritic salt into a smaller separate mixing bowl, and add the lemon essential oil and vanilla extract to the dendritic salt. Mix it very thoroughly. After the aromatic oils have been mixed with the dendritic salt, add the salt/scent mixture to the salts in the large mixing bowl, and mix well. Add 7 drops of the yellow dye to the salt mixture, mixing thoroughly, until the color is uniform throughout. Use immediately or package in a pillow pack and tie with ribbon - or any other method! Also, essential oils do have a shelf life, and you should use them up within 6 months. That said, I really enjoyed this recipe, and it looks great sitting on your bathroom counter! If you try out this recipe, let me know how you found it. Any feedback is great! what type of essential oil distributor do you use? I hear some companies are diluted does that matter in these recipes for amounts used? 1) Buy from reputable suppliers - I generally use From Nature With Love (http://bathsa.lt/U3QYeI). I know they are more pricey for some things, but when I know I can't skimp on quality, they have certification on each essential oil page from their supplier about the concentration. 2) Just use the sniff test. When you are mixing your scents into your dendritic salt, smell the salts after they're mixed in and before mixed with main salts. If you can't smell them then, add more. Don't Forget to Follow Us to Keep Up!